SUBHEAD: During the current long running contraction, political and economic centralization will collapse. 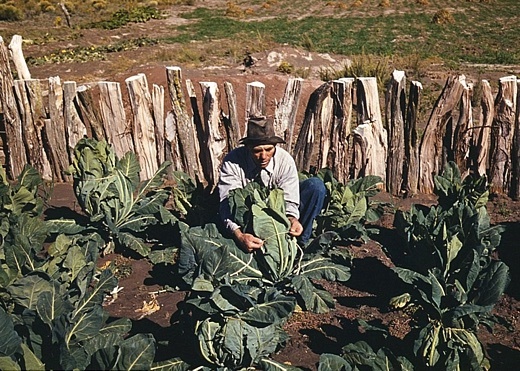 Image above: Mr. Leatherman, homesteader, ties up cauliflower plants in his garden patch in Pie Town, New Mexico, in the after math of the Great Depression. Photo graph by Russel Lee of the US Farm Security Administration. From (http://www.dailymail.co.uk/news/article-2287178/A-life-grit-guts-Great-Depression-Poignant-pictures-farmers-families-scratching-living-1940s-Pie-Town.html). This is an absolute must see, and a joy to watch. Longtime friend of the Automatic Earth Steve Keen was on BBC’s Hardtalk over the weekend. I already really liked the 2.30min clip the BBC released earlier this week. Now Steve himself has posted the entire interview, while the BBC only has an audio podcast (for anyone outside the UK). You can see that Steve came prepared for some ‘hard’ questioning, and the format fits him very well. Kudo’s! Also, kudo’s to the BBC for having him on, perhaps alternative views on economics have become more palatable in Britain post-Brexit? Interviewer Stephen Sackur sound quite typical of what I see in British media almost 2 months after Brexit: fear and uncertainty and the overall notion that leaving the EU is a very bad thing. Time to move on, perhaps? I’m not sure Steve would join me in professing the term Beautiful Brexit, but our views on the EU are remarkably alike: it’s a dangerous club (and it will end up imploding no matter what). And that is in turn remarkable unlike the view of our friend Yanis Varoufakis, who is seeking to reform the union. I went to see Yanis’ presentation of his DiEM25 initiative on the island of Aegina, off Athens, last week, and I found far too much idealism there. There were DiEM25 members from France, Italy and Spain, and they all seemed to agree on one thing: “we need” a pan-European organization -of sorts-. But do we? And why? In my view, they ignore those questions far too easily. Moreover, even if we choose that path, why the EU? For me, as I said to the people I was with last week, reforming the EU is like reforming the mafia: you don’t want to go there, you want to dissolve it and shut it down. What the EU is today is the result of 60+ years of building an anti-democratic structure that involves and feeds tens of thousands of people, and you’re not going to break that down in any kind of short term. When he said it in May, it was used as campaign fodder by the Remain side, though ironically they never mentioned Napoleon, only Hitler. “How dare you make that comparison!” But Johnson could have mentioned Charlemagne or Charles V, or Julius Ceasar just as well. They all tried to unify Europe, and all with pretty bloody results. And just like all the idealism I see today in DiEM25, there were plenty idealists at the foundation of the EU, too. But again it’s going awfully wrong. Diversity is what makes Europe beautiful, and trying to rule over it from a centralized place threatens that diversity. European nations have a zillion ways to work together, but a central government and a central bank, plus a one-currency system, that is not going to work. Still, before I get people proclaiming for instance that Steve Keen is a fan of Boris Johnson, which I’m sure he’s not and neither am I, we’re both fans of Yanis Varoufakis, just not on this issue, but before I make people make that link, I’ll shut up and hand you over to Steve. But not before reiterating once more that in my view none of this EU talk really matters, because centralization can exist only in times of -economic- growth (or dictatorship), and we’re smack in the middle of a non-growth era kept hidden from us by a veil of gigantesque debt issuance. The future is going to be localization, protectionism, name it what you want; feel free to call it common sense. It will happen regardless of what you call it. Video above: Steven Sackur and Steve Keen discuss why mainstream economists shouldn't be trusted, Brexit, the Euro, and overall the need to reform economics a decade after the Global Financial Crisis. From (https://youtu.be/IcNBW9609HM).